Dr. Elmergreen is Co-owner and Clinical Director of Elmergreen Associates. 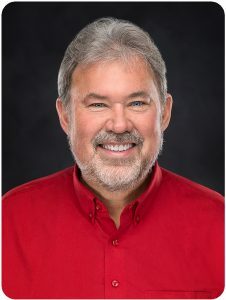 He has been a Licensed Clinical Psychologist in the state of Wisconsin since 1986 and also serves as Clinical Supervisor for the Stockbridge-Munsee Health and Wellness Center for the Stockbridge-Munsee tribe. Court officials, school-based professionals, tribal leaders, and medical practitioners can rely on Dr. Elmergreen’s 30+ years of trusted expertise to provide clinical evaluations in the Wausau metro area. In his spare time, he enjoys spending time with his family, as well as hiking, traveling, and reading. Call 715-845-7175 to book an appointment with Dr. Dennis Elmergreen. Dr. Elmergreen served as Clinical Supervisor for the Health and Wellness Centers at the Forest County Potawatomi and Stockbridge-Munsee tribal clinics and interned at Mendota Mental Health Institute in Madison, Wisconsin.